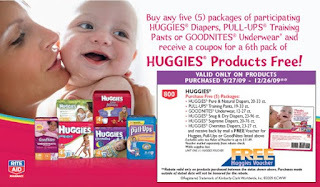 The Thrifty Couple has found a great deal on Huggies Diapers — but it is at Rite Aid Pharmacies. I know that there are none in or around Kansas City, so we will miss out on this. Too bad for us! However, if you happen to live someplace where you do have one of these, you will certainly want to head on over here and check out what they have to say!